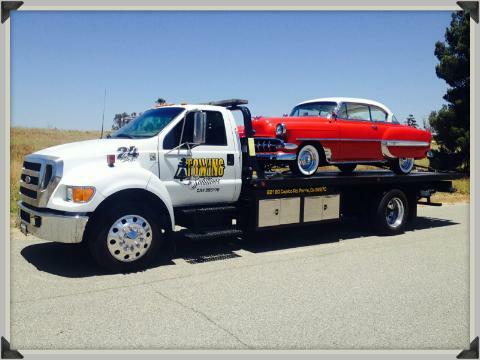 Towing Solutions provides an emergency towing service to all of the Fontana, CA residence. 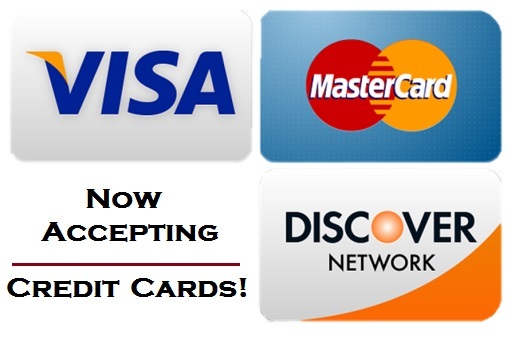 We are here to help you when you need us, so simply give us a call at (951)445-8868! Have you ever noticed that every time your car decides to break down it seems to be at the most inconvenient moments? Even if you drive a brand new car it still doesn’t guarantee you won’t have car problems. Lucky for you Towing Solutions is here to help. Our 24 hour emergency tow service is always ready and on standby to respond to any situation that may come our way. A member of our team will be more then happy to assist you. We know that breaking down, and calling a tow truck to give you a tow home can be expensive not to mention irritating. 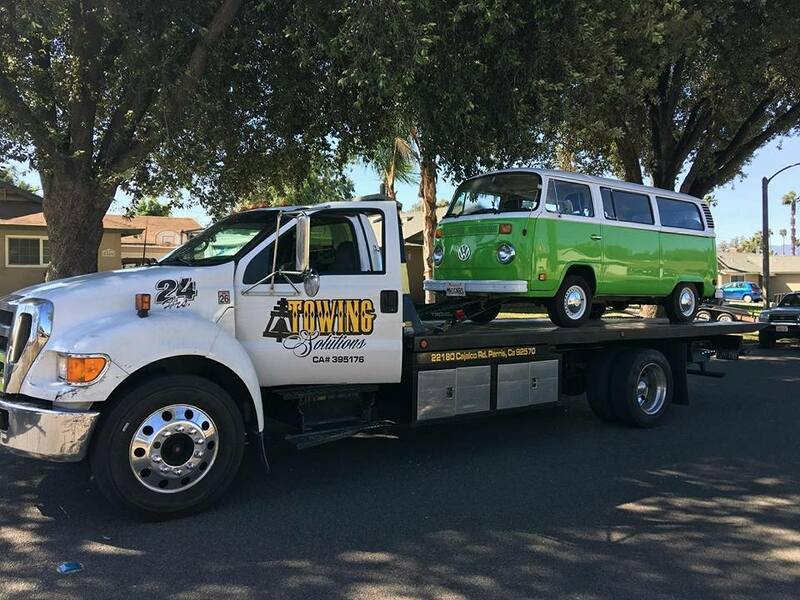 At Towing Solutions we strive to relieve some of your stress and worries with our fast response times, great customer service, and low prices. Our drivers are all highly trained, licensed, and carry the proper insurance policies so you can rest assured knowing you’re in good hands. The safety of our customers and their vehicles are our number one priority. Towing Solutions is a small family owned and operated business dedicated to helping our customers, because we know problems always happen when you least expect them. 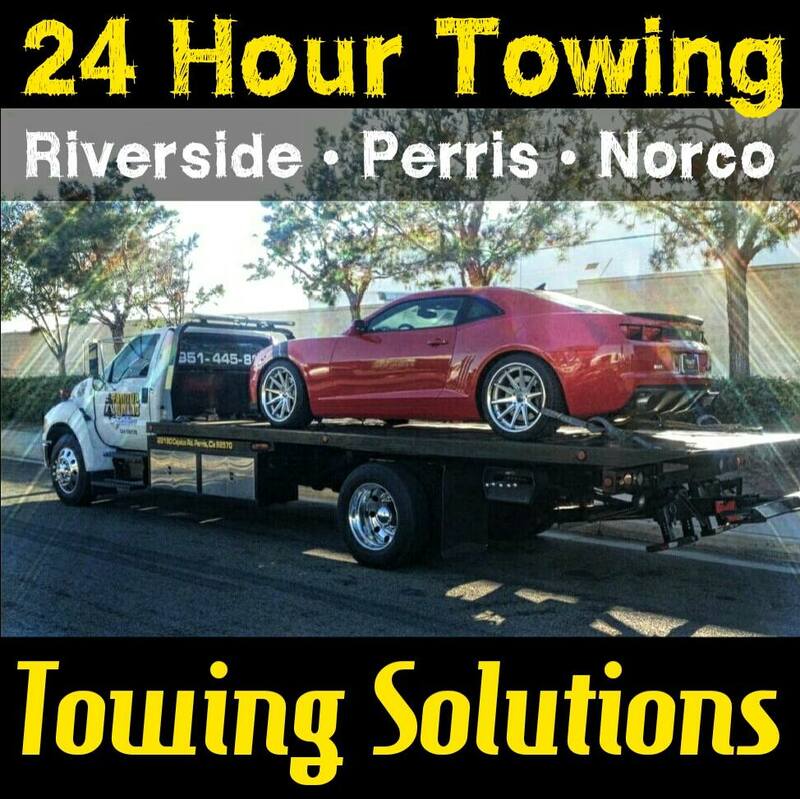 With Towing Solutions you can rest a little easier knowing we are here to help you 24 hours a day 7 days. Give us a call at any time at (951)445-8868 for a free and easy price quote!